As professional refinishers, we know what it takes to satisfy our customers. Whether you own a domestic or import, car truck or SUV, you want your vehicle looking like new, today and in the future. The keys to a successful auto body repair collision repair center are quality and service; the kind of service that brings our customers back the next time they need a repair. Our work is guaranteed for as long as you own your vehicle. We’ll be happy to offer you shuttle service to your home or work, if you choose not to take a rental car. The United States Environmental Protection Agency (EPA) developed a Screening Checklist for Automotive Repair Facilities as a public service to the automotive service and repair industry. EPA’s Office of Compliance determined there was a need for compliance assistance to automotive repair shops to help them attain or remain in compliance with applicable federal environmental regulations. Liberty Auto Body Repair Collision Center is conscious to what effects an Auto Body Repair shop could have on the environment. With that in mind, we make every effort to to inflict minimal or no harm on the environment in the normal course of doing business. 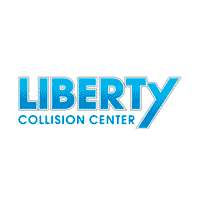 Liberty Collision Center	41.8539493, -87.9597932.